Join us in celebrating the opening of a special two week exhibition that features art from Waco’s Mammoth Collective artists. 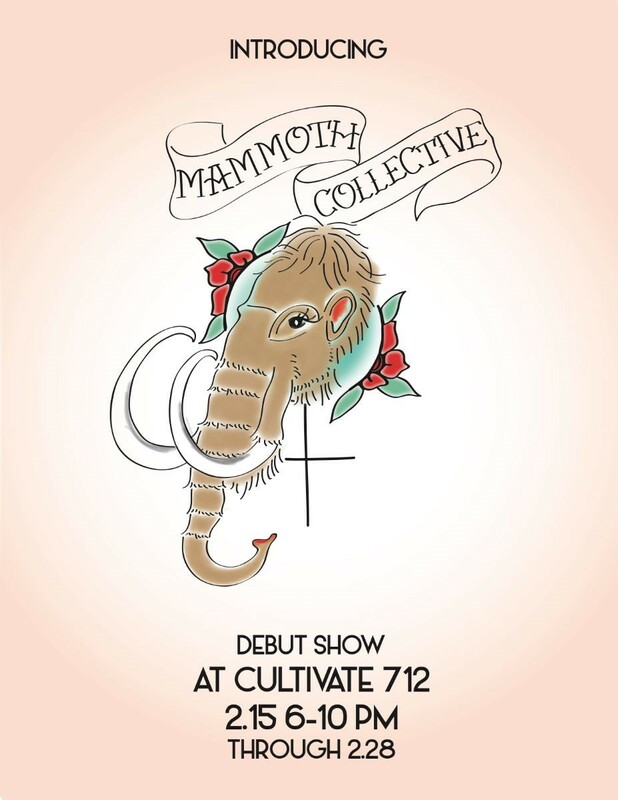 Mammoth Collective is an up and coming group of young female artist in Waco who are creating work that is symbolic, vulnerable, and modern. At this exhibition opening, you will have the chance to mingle with some of these talented woman and discuss their art. Light bites and drinks will be provided by Cultivate 7Twelve.